Beranda » gadget » Vivo mobile x5 china products will be available soon. Vivo mobile x5 china products will be available soon. Mobile technology continues to evolve. 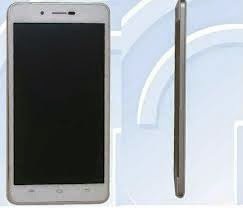 Mobile tablet vivo re-release of the latest product is expected to present soon as x5 vivo cell phone that will compete with the Oppo R5 as the thinnest phone. Vivo mobile x5 china products will be available for another week. Vivo X5 Max is prepared to deal directly with the Oppo R5. This phone has a 5.5-inch screen size with FHD resolution (1920 × 1080 pixels) and octa-core embedded processor speed of 1.7 GHz MediaTek made. RAM capacity has massive 2 GB combined with Android 4.4 KitKat. While the main camera has a 13 MP capability, and the front camera of 5 MP. The Chinese products increasingly dominate the market Asia and even the world at an affordable price. 0 Komentar untuk "Vivo mobile x5 china products will be available soon." this coment in dofollow,don,t spam please!